Regional Director at Vouchercloud, Europe’s first mobile advertising app with over more than three million downloads in the United Kingdom. 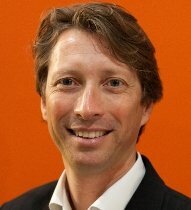 Founder of Zanox Benelux, market leader in performance advertising. 15 years+ track record in (international) online businesses for travel, retail and mobile companies. Supported many companies with their online strategy and build up of business. Especially interested in learning more about new mobile ventures. Currently regional director at Vouchercloud. Mentor biography: Building the bridge between technology, business and people. Supporting in constructing new companies, strategy, positioning, sales & marketing. Experienced in making business plans, (sales)presentations and structuring organizations.